The night air is cool and crisp, the autumn leaves are falling, your costume is ready, jack-o-lanterns carved, lights dimmed, candy in the basket—what else do you need to make “All Hallows’ Eve trick or treat” complete? Some eerie music, a spine tingling, blood curdling horror movie? No, no—those are for yesteryears! 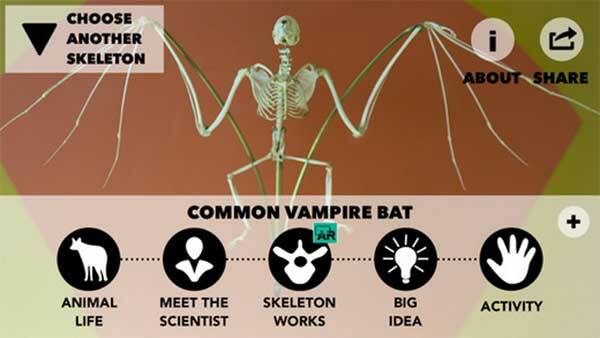 This Halloween, let’s make the skeletons in the Smithsonian National Museum of Natural History come alive. Let’s try and capture that vampire bat skeleton that pulls itself off the mount to run away, or watch the horror of an extinct Steller’s sea cow materialize in the flesh. 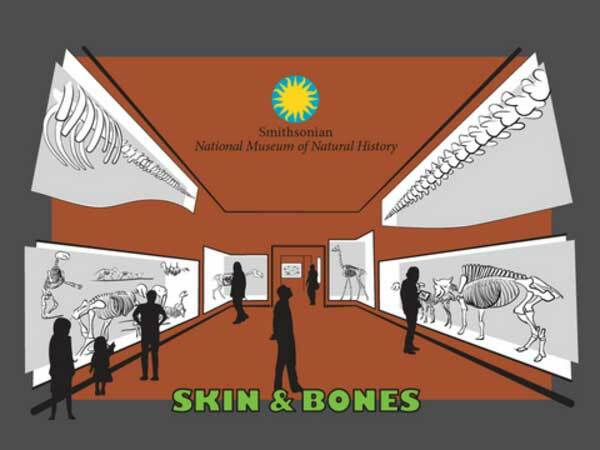 The Skin & Bones mobile app from the Smithsonian Institution allows you to view, in 3D, exhibits from three centuries ago with the latest 21st century augmented reality technology. Categorized as educational, this app is available for downloaded from the App Store for iOS (iPhone & iPad). The app is easy to use and has a simple menu structure. The app allows you to choose any of the skeletons by simply tapping on the image. You can choose animal life and watch videos that have crystal clear quality. You are sure to snap your head backwards as you watch the eastern diamondback rattlesnake snap at you. Use the app from wherever you are to peer into the inner lives of animals like bats, giant sea cows, rattlesnakes and many others. Meet the people who study them, ponder big ideas about the natural world and play a game or two. Just put on your headphones and turn on WiFi for the most enjoyable audio mix. The app also has built-in accessibility features: captioned videos and animations as well as voice-overs. 32 videos that take you around the world—from the Congo to the Arctic and the Amazon—with scientists and the most interesting animals. 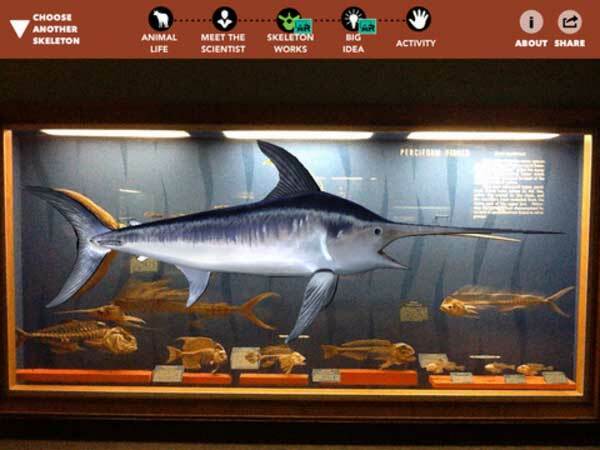 This app is a must-have for anyone visiting the Smithsonian’s National Museum of Natural History. You can download this and other government apps through the USA.gov Federal Mobile Apps Directory. Do you have a federal app that is not listed on the Directory? Take part in the Great Federal Mobile Product Hunt.